"My thesis explored SAFRING data for correlates between vital rates and climatic indices. Migratory African reed warblers at Paarl survived better in years when the average temperature on the breeding grounds was higher. Large spatial variation in survival of this species across southern Africa was not correlated with the seasonality of its azonal wetland environments. However, sympatric variation in survival of insectivore assemblages was larger and survival lower at a more seasonal wetland than at a climatically-stable fynbos location. 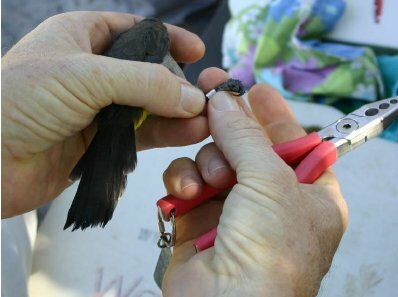 Warmer years had a negative effect on juvenile survival, and colder years on adult survival and fecundity in the largest colony of a population of 25 colonies of sociable weavers, but no effect on the population as a whole suggesting that colonies respond differently to climatic stochasticity."